WEsay During the week there is plenty of leisurely cruising on the uncrowded pistes. 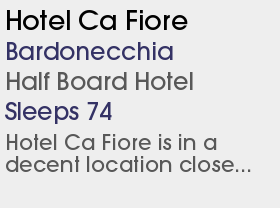 Bardonecchia is located in a sunny valley right on the border with neighbouring France. 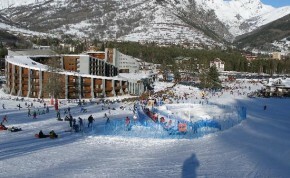 Named the "Pearl of the Val Susa" this friendly resort is part of the Turin area hosting the 2006 winter Olympics and thus will benefit from extensive investment.The snowboard giant slalom and half pipe will be held at Campo Smith and Melezet. Two of its three ski areas are interlinked providing an enormous ski area with an amazing 140kms of marked piste with a variety of skiing rarely found in a resort of its size. 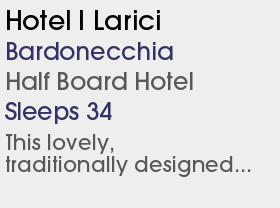 It has grown from an authentic Italian town with tree lined streets to a bustling ski resort and combines minimal weekday lift queuing with a lively weekend atmosphere. The many shops, designer boutiques, cafes and bars add to the cosmopolitan atmosphere. There are many reasonably priced mountain bars and restaurants and a range of facilities for all ages. 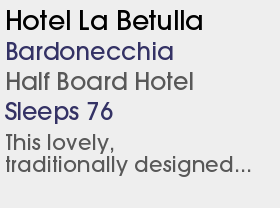 Bardonecchia is also easily reached by car or train.